The Bishops’ CE High School in Chester celebrated its achievement of the STEM Assured accreditation by the STEM Foundation on 25 October 2017. 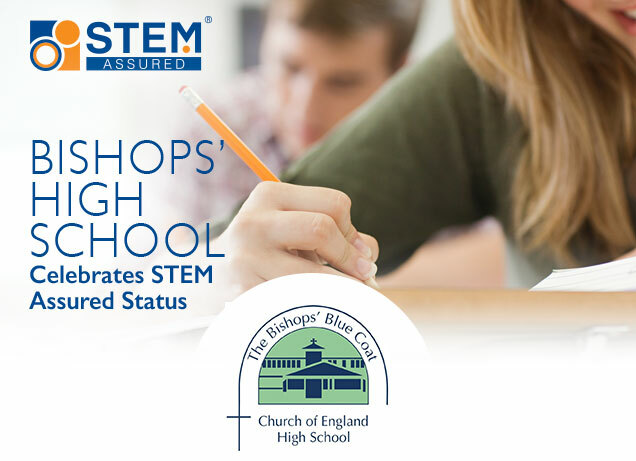 STEM Assured is the only standard that provides an independent, industry-backed validation of the quality of an institution’s Science, Technology, Engineering and Maths (STEM) provision and Bishops’ is the only School in Chester and one of ten nationally to receive this accolade. In securing the accreditation, the School had to show how its STEM strategy is already impacting on students’ learning. Representatives from Airbus joined with the school to create a year 11 pathway for apprenticeships as part of The Bishops’ High school ‘Your Futures’ programme. Meanwhile, Virgin Money have created a bespoke ‘Munch and Learn’ program for Bishops’ students and work with them to develop financial awareness. Vauxhall, Bank of America and Deloitte have a special relationship with the school and lead their Aspire breakfast sessions which are now embedded into the curriculum. URENO have created a bespoke workshop for their year 7 students and they are developing a program with them to enhance the science curriculum. Becoming STEM Assured is a commitment to creating many more opportunities for exciting partnerships with employers, universities and the community. 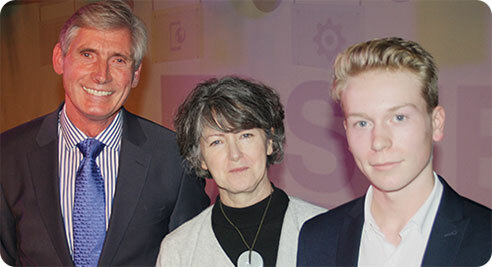 Headteacher Ian Wilson said, “This STEM Assured Award and Celebration happened at the right time to recognise a year in the life of our School. Last summer, we saw 447 individual A*/A or equivalent grades in our GCSE results as well as 48% of A level results gaining A*- B. Looking back on our successes is a chance to recognise the culmination of so much hard work. But we are already well down this year’s road and it was great to see students so motivated by their experiences and the challenges ahead. Showcasing the best achievements of the school during the 2016-2017 academic year, the event included awards for attainment, attendance and attitudes to learning. 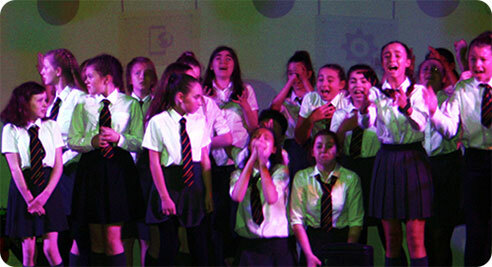 The event included the school’s ‘Assemble’ drama group reprising sequences from their successful ‘Matilda’ production, as well as music, reviews of sport and recognition of extra-curricular success and ethos. The School welcomed a former student, Louise Wilson who spoke about her personal journey from Bishops’ to Cambridge University and on to Deloitte, where she is now a director.